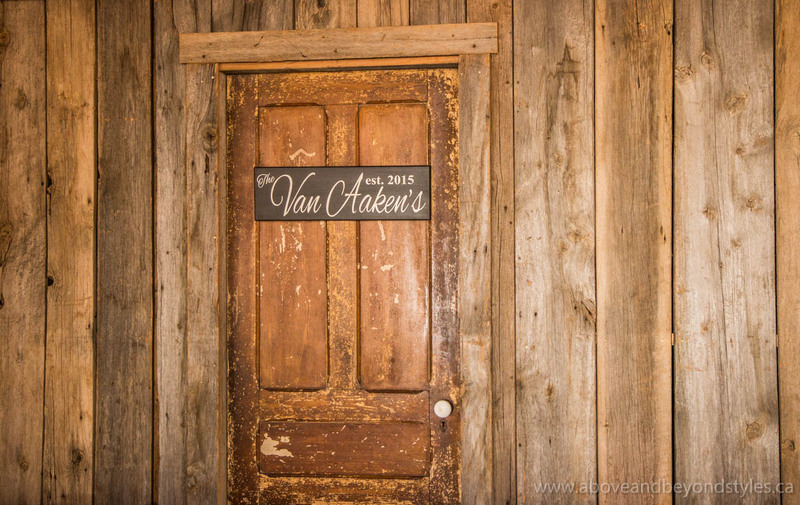 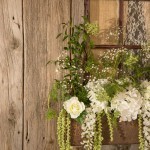 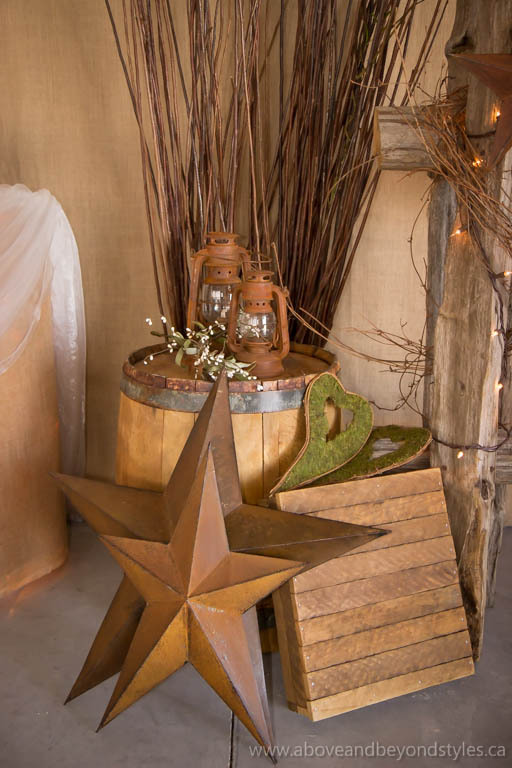 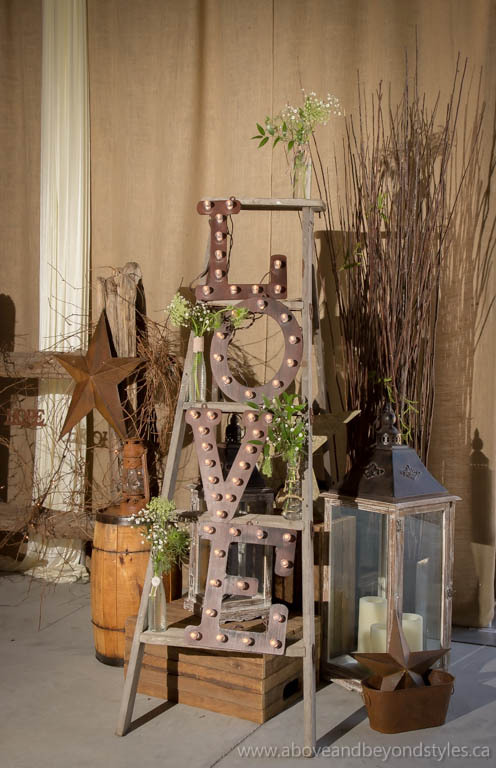 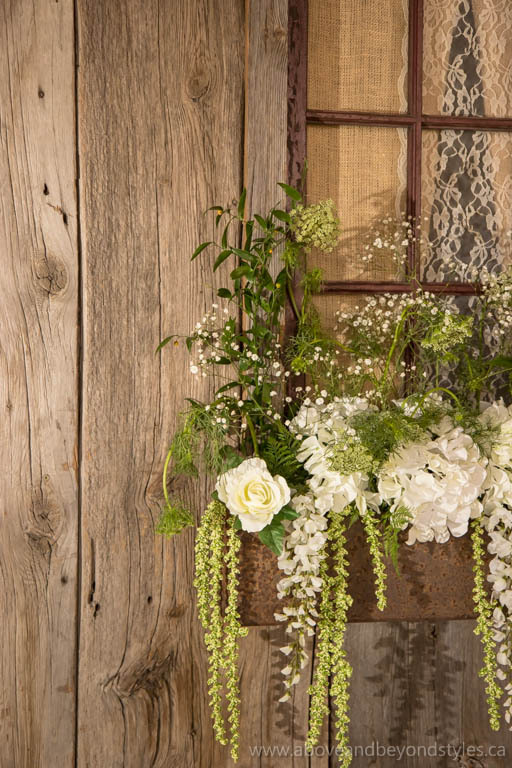 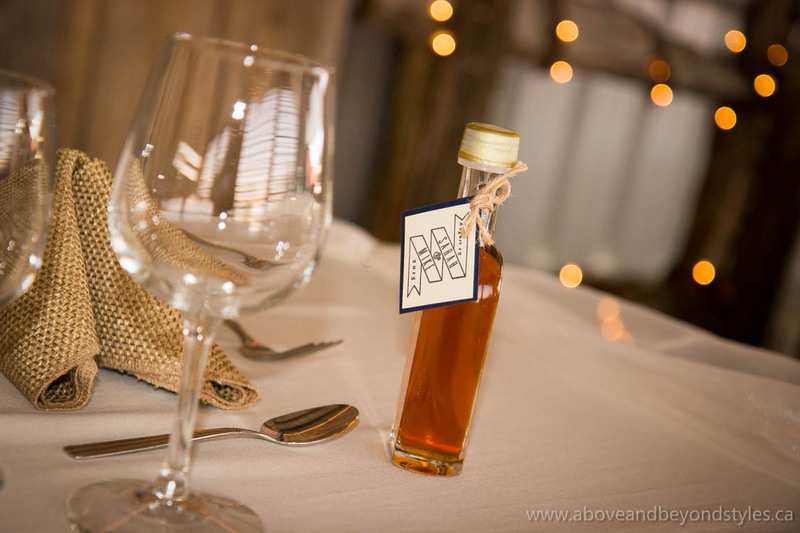 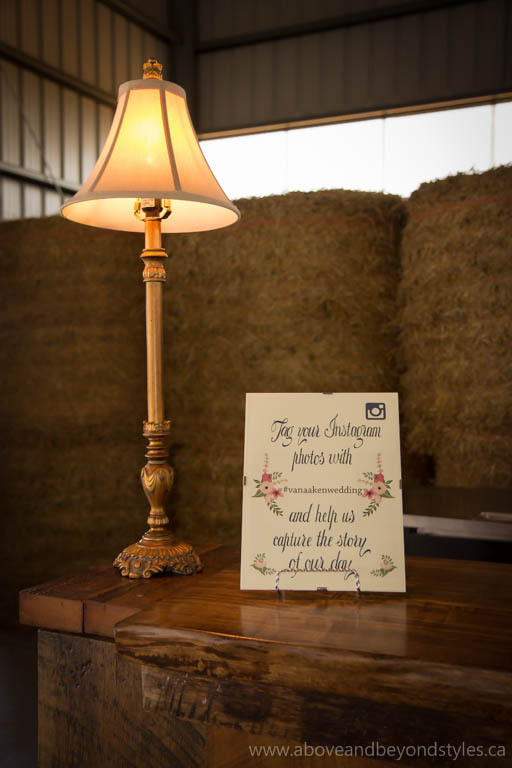 One of our favourite venues to decorate for a wedding is an old barn or driving shed because the possibilities are endless! 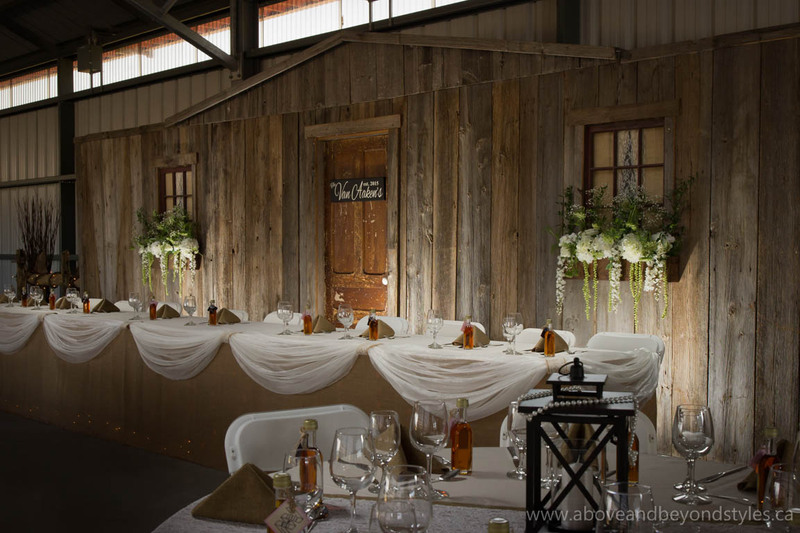 The transformation of this shed on Sarah’s homestead farm near Seaforth, Ontario, was especially exciting because it featured a brand new ceiling design. 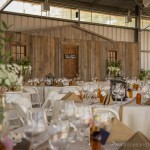 We asked Sarah and Mike for free creative reign with this element of their wedding, in order to compliment their very unique style and the solar powered 50′ x 160′ driving shed. 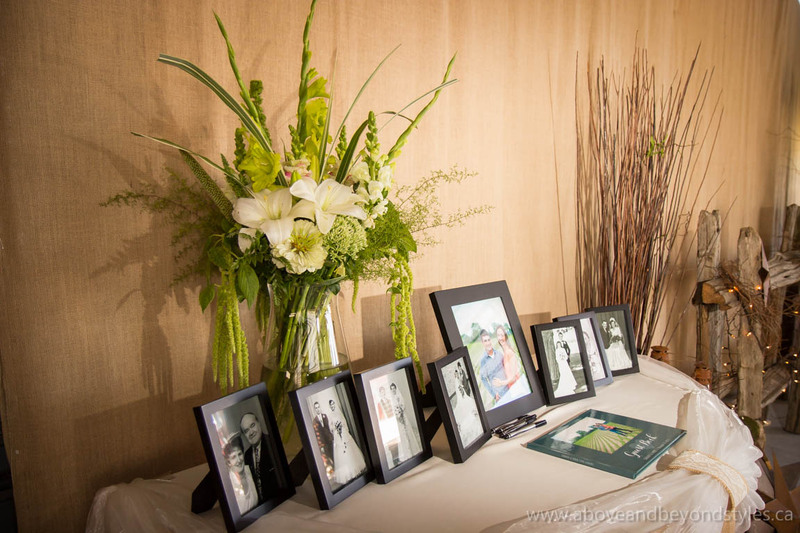 We first met Sarah in December of 2014 at our first consultation. 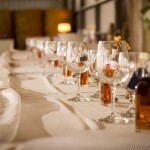 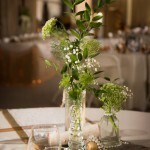 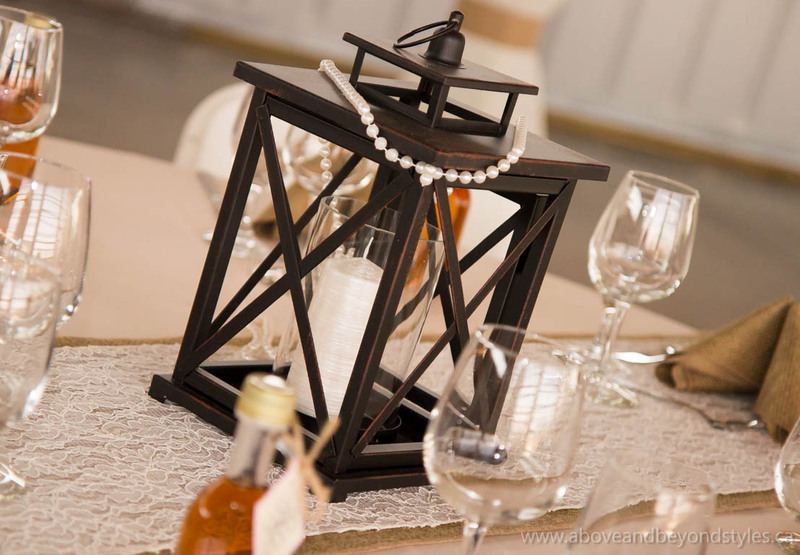 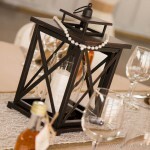 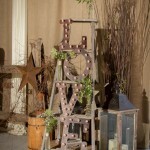 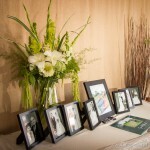 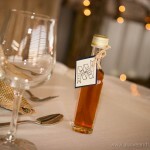 She was a very organized bride who knew what she liked, and she had her eye on a few of our signature design elements. 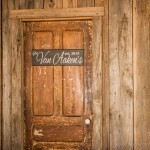 We loved the vision she had for her day. 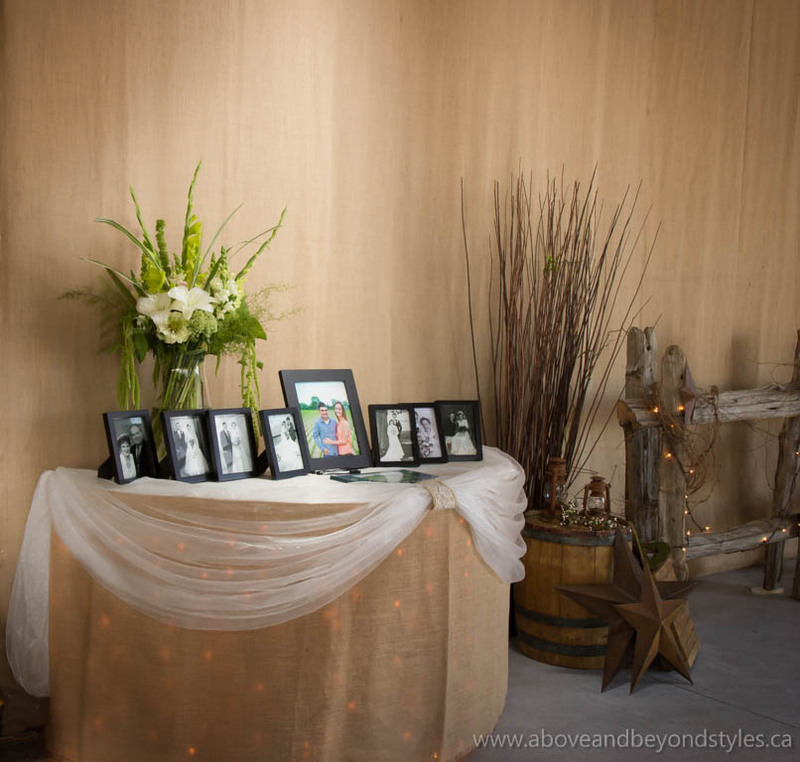 We shared multiple ideas and Sarah brought those ideas to her fiancé Mike, and he was all in. 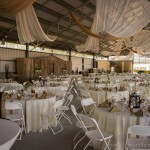 They had complete trust that it was going to be amazing and the unique ceiling design was the talk of the night. 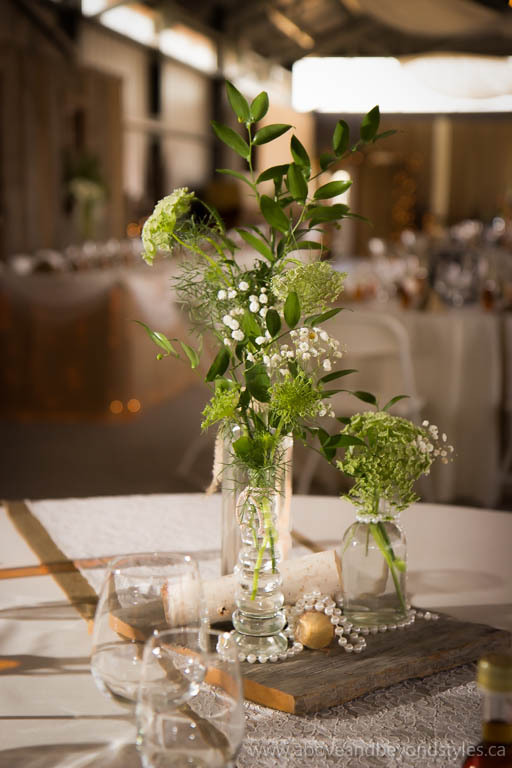 Since the launch of this new ceiling design we’ve also featured it at our Stratford Wedding Show in September – and it was a complete showstopper! 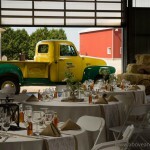 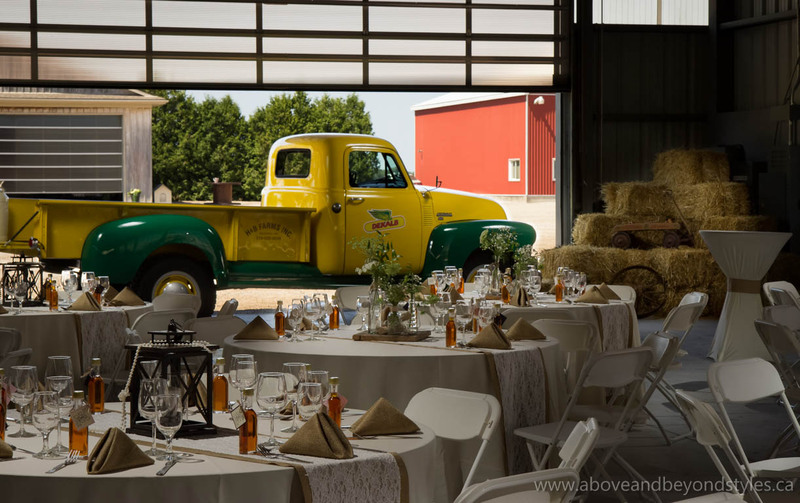 Sarah and Mike added many personal touches to their amazing wedding, including a vintage yellow and green Dekalb pickup truck! 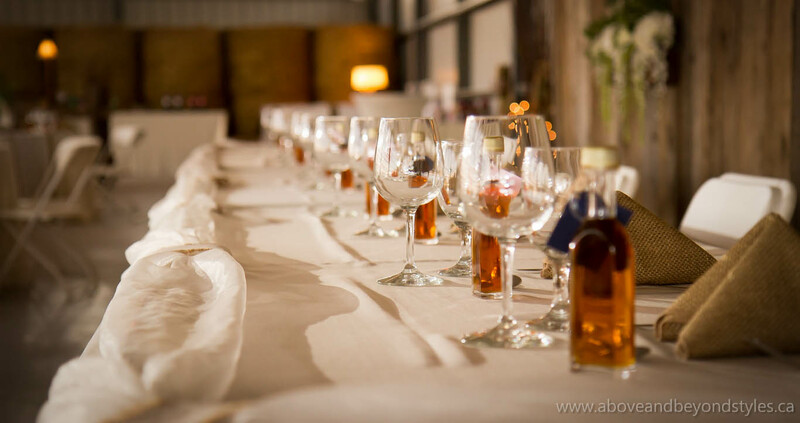 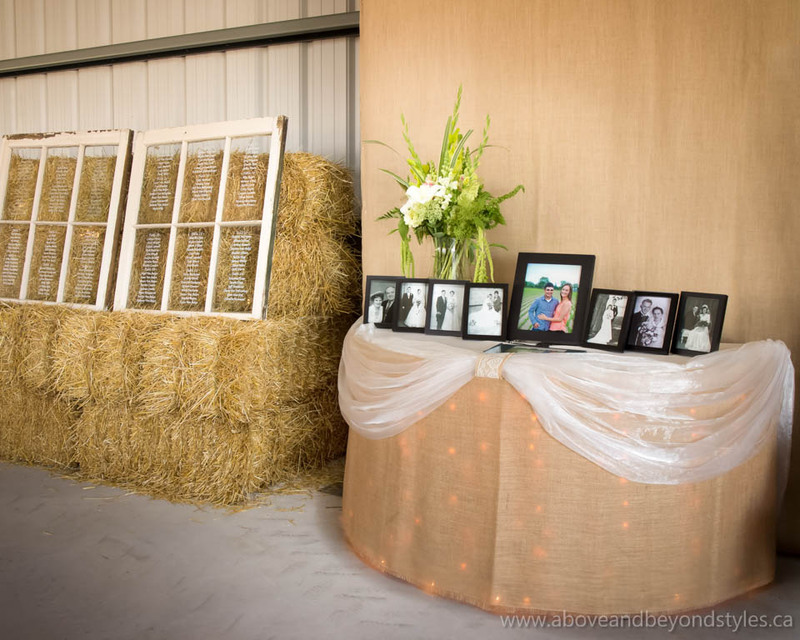 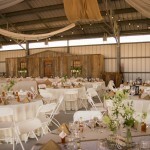 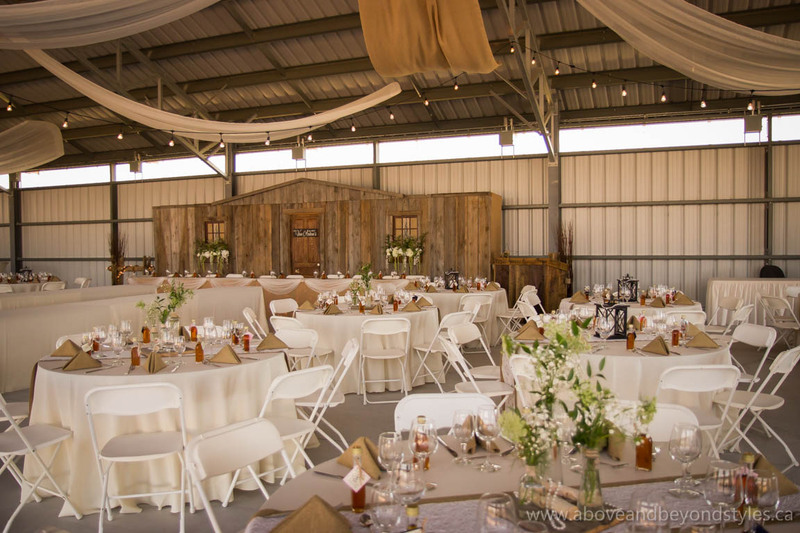 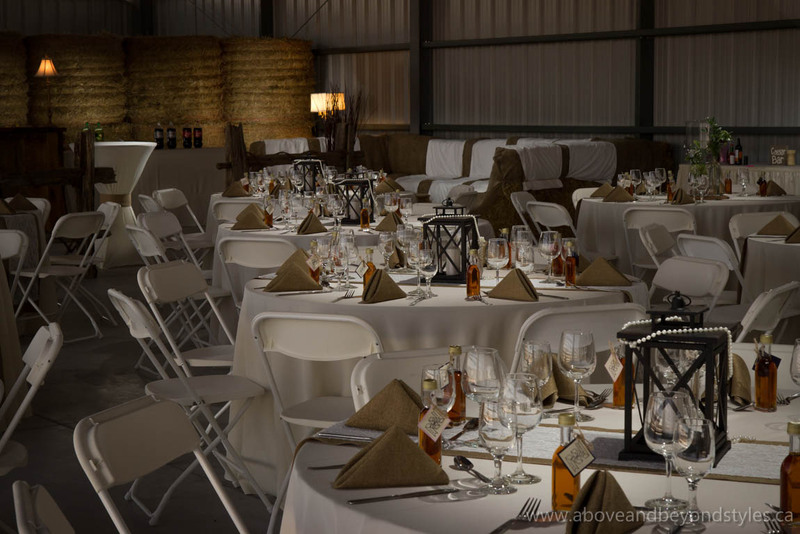 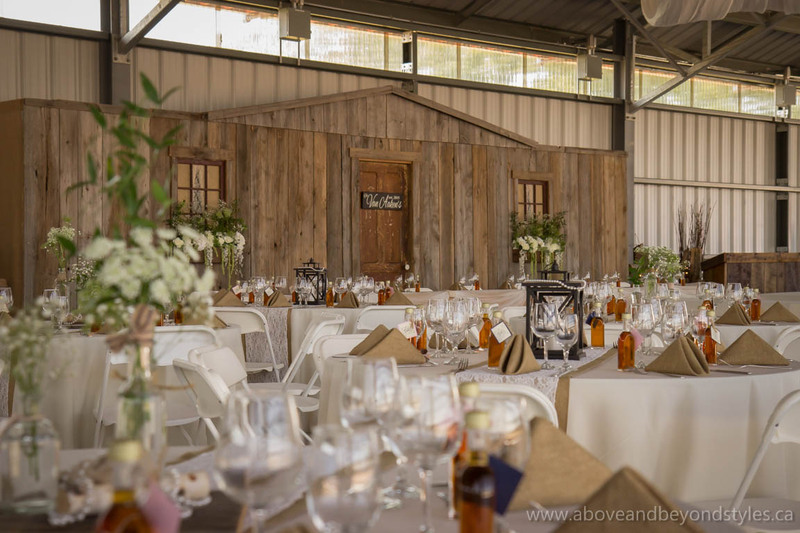 Since the driving shed was so large, they were able to use round bales to partition off a nice sized area for the caterers to use as a preparation space. 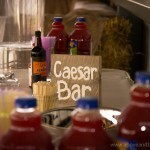 It also created a nice focal point behind Mike’s beautiful hand-made wooden bar. 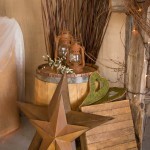 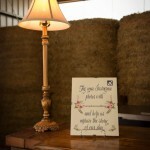 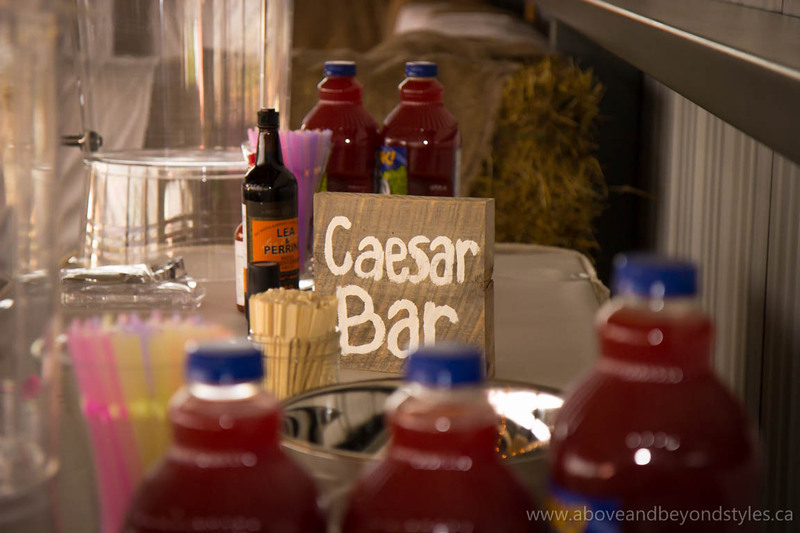 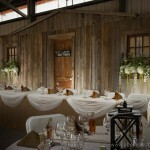 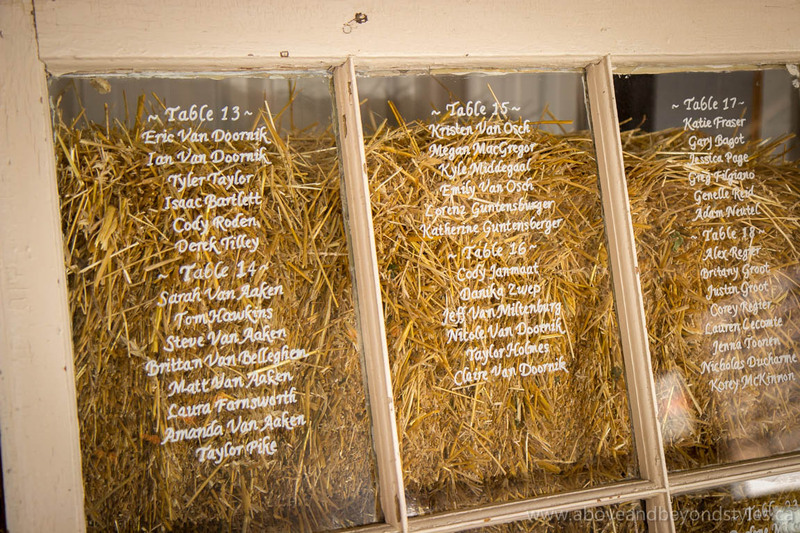 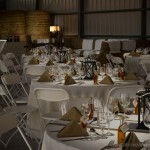 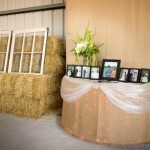 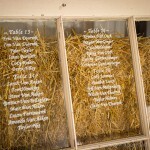 Mike also embraced our idea of a bale lounge near the bar area, and together we created the hot spot for the reception. 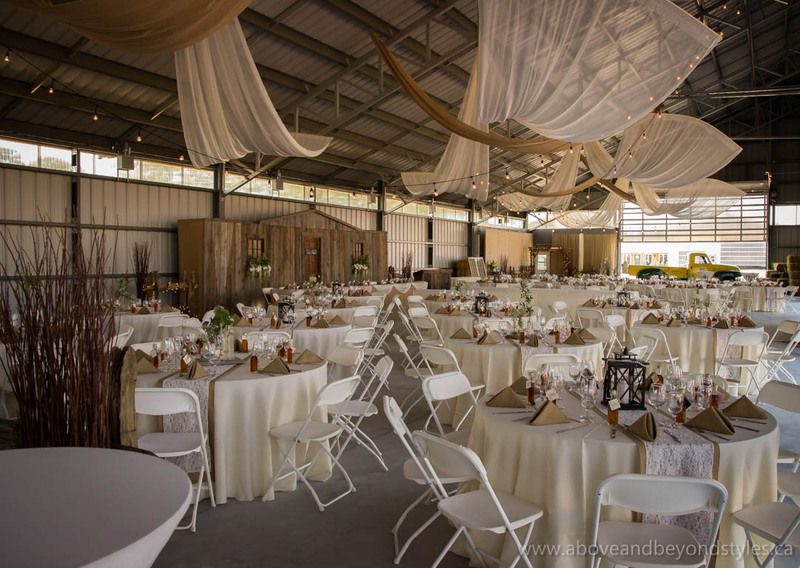 They trusted us to not only “wow” them with the ceiling design, but to create the perfect setting for their celebration as well. 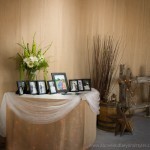 It was wonderful to work with both of their families!